It seems like there is history everywhere you turn in England. 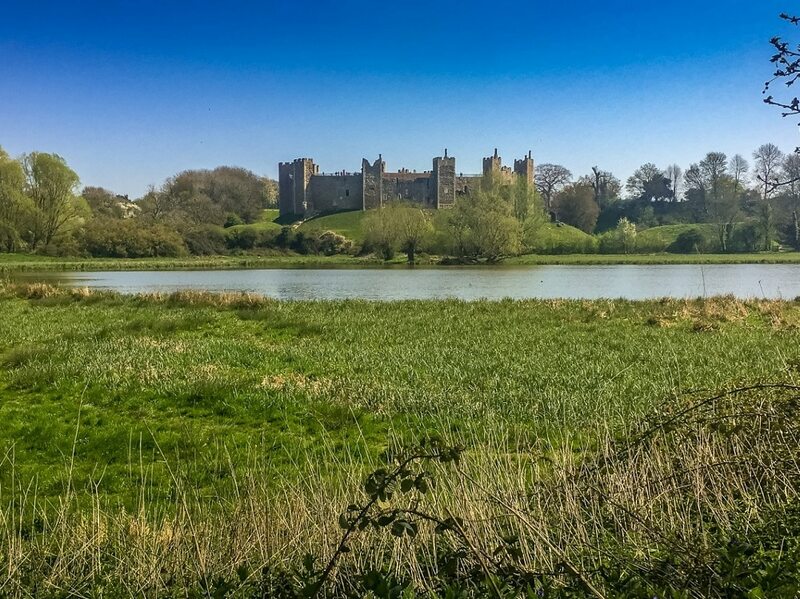 When I went to a small town about two hours northeast of London called Framlingham, I expected to see a beautiful old castle, but I was surprised to learn that a significant historical event took place there back in the 16th century. 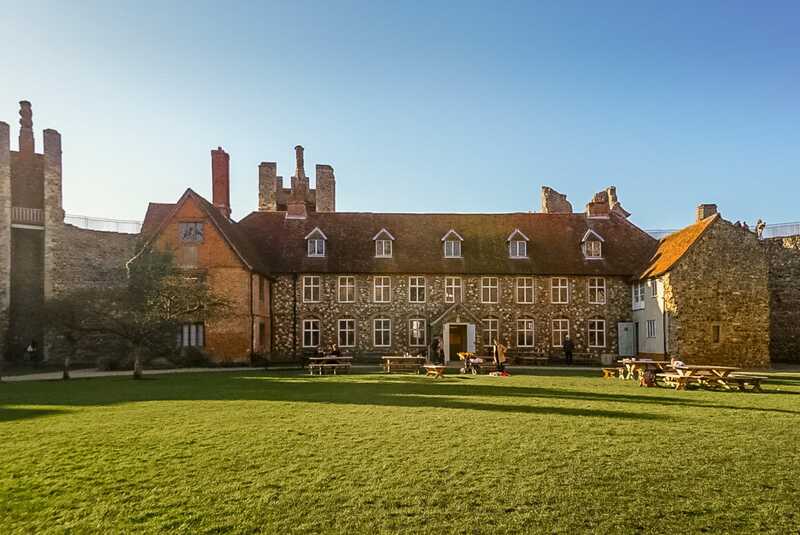 Mary Tudor (aka Bloody Mary) was proclaimed Queen of England at Framlingham Castle in July of 1553, making it one of the most historic castles in Suffolk. Still, it’s a bit out of the way, so you may be wondering if Framlingham Castle is worth a visit? 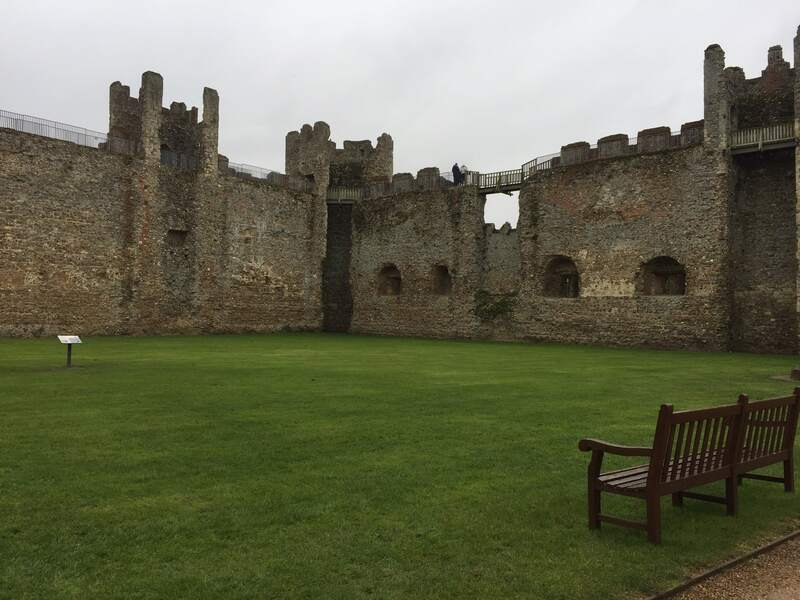 In this post, I will share more of the history of Framlingham Castle, what you will see, and why I think you should visit Framlingham Castle. I have returned several times! Mary Tudor was the oldest daughter of Henry VIII. Since male heirs are first in line for the throne, when her father died, her younger brother, Edward, became king. Mary was the next in line. However, since Mary was Catholic, Edward wanted to change the line of succession and have the throne to go to Lady Jane Grey next. Plaque commemorating Mary’s path to the throne. When Edward was dying, Mary was summoned to London. She knew if she went to London she would be captured, so she fled to Framlingham Castle in Suffolk instead. While at the castle, she rallied her supporters and was proclaimed Queen of England. She was officially crowned at Westminster Abbey in London later that year. Mary is remembered for bringing back Catholicism to England after the short-lived Protestant reign of her half-brother. During her five-year reign, she had over 280 religious dissenters burned at the stake earning her the nickname “Bloody Mary.” Bloody Mary was real, not just a drink! If you want to learn more about Mary I, check out this biography. 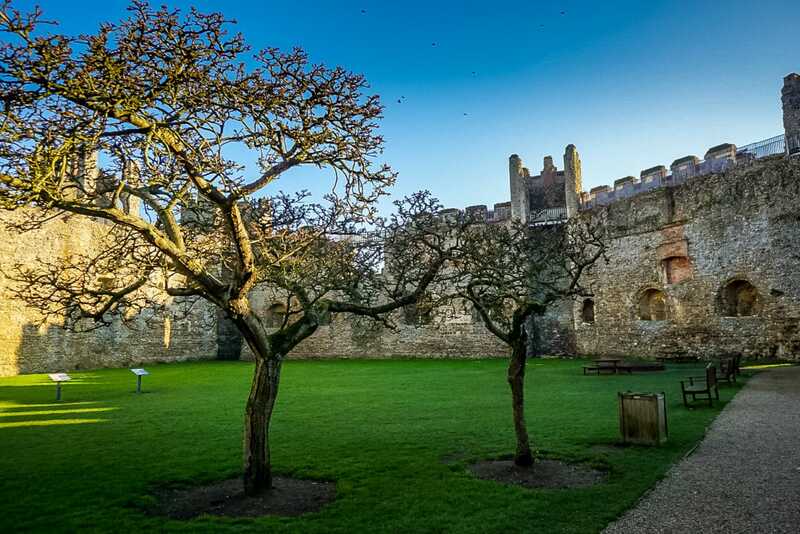 Framlingham Castle dates back to the 12th century so there is more to its history than Bloody Mary. It has been owned by some of the most powerful families in the region. The castle was built by the Bigods, a powerful Norman family. In 1213 Roger Bigod II entertained King John at the castle. He was one of the barons that forced King John to sign the Magna Carta in 1215. King John sieged Framlingham Castle as retaliation in 1216, but soon control of the castle was restored to the Bigods. In the 14th century, Framlingham Castle passed to the Brotherton family. For 17 years it was the home of Margaret Brotherton, the first woman to be made a duchess in her own right. It’s impressive the castle dates back to the 12th century. The visitor center is located inside the old Framlingham Castle Poorhouse. After Thomas Howard fell out of favor with Henry VIII, the castle was given to Princess Mary (Later Mary I) in 1552. During the reign of Elizabeth I, the castle was used as a prison. In 1635, the castle was sold to Sir Robert Hitcham who was a lawyer and philanthropist. When he died, he left instructions for the castle buildings to be demolished and a poorhouse to be built. A poorhouse was a government-run building to provide support and housing for the needy. The video below is a cute illustration of the history of Framlingham Castle. Even without the historical significance, Framlingham Castle is impressive. It was built in the 12th century on the top of a hill overlooking the town. The walls are still in excellent condition, although most buildings inside the castle are no longer standing. There is a dry moat that surrounds the castle. There are also a few trails around the castle to explore before (or after) heading inside. 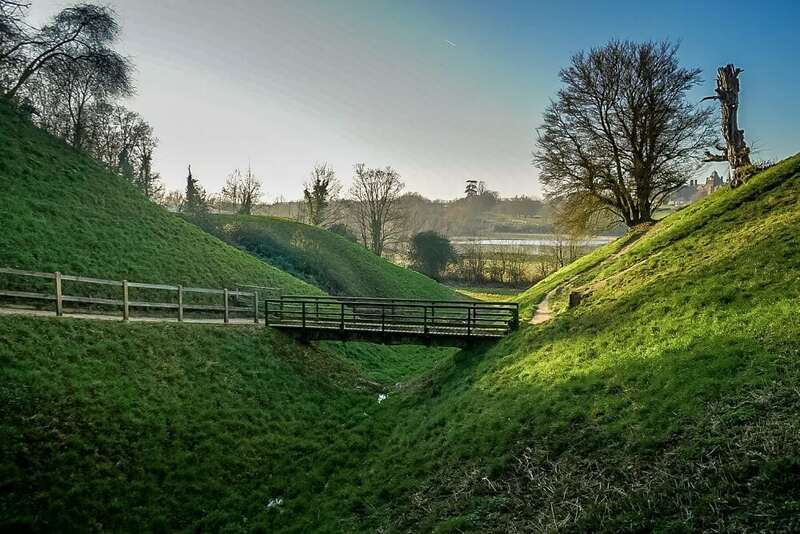 As you enter the castle in Framlingham, you will see the plaque marking the historical significance of the site and then a little further in there is a well. First, head to the visitor center and pay the entrance fee. The walking paths in the dry moat outside Framlingham Castle. You can grab a bite at the cafe or bring your own picnic. The visitor center is inside the poorhouse which is the only remaining building standing inside the castle walls. You can pick up your audio guide here. There is also a gift shop and cafe inside the visitor center. 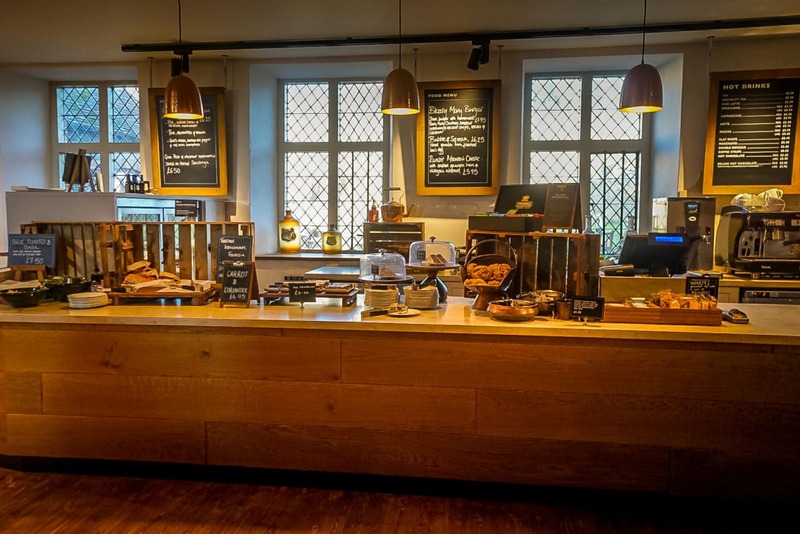 The cafe serves some traditional Tudor dishes like “Tarte Owte of Lent” and vegetable porridge, although with regular light fare and some sweet treats. I haven’t tried the cafe because we usually pack our own picnic. There are several picnic tables and plenty of room for kids to run around on the lush and green grass. Take the flight of stairs up from the gift shop to the exhibition. Here you will learn more about the castle’s history and the people that lived here. The exhibits are aimed at a younger audience, but I still found them interesting and learned a few things. I enjoyed finding out more about the Howard family and Bloody Mary. There are a few short videos, some interactive displays, and even an area to play dress up. I found the ‘Who Eats What?’ game fascinating. I even found out about a few foods I hadn’t heard about before. The highlight of my visit was the Castle Wall walk. Glancing up, it looked a little intimidating, especially since the castle walls are so old. After climbing up an old spiral staircase, I arrived at the top, where there was a walkway around the whole castle. (Note: There is no lift access to the wall walk, so, unfortunately, it is not accessible.) The chimneys along the wall are the oldest surviving Tudor chimneys in the country. The view of the inside of the castle, the countryside, and the town was impressive. You can see the railing of the pathway for the Castle Wall Walk. 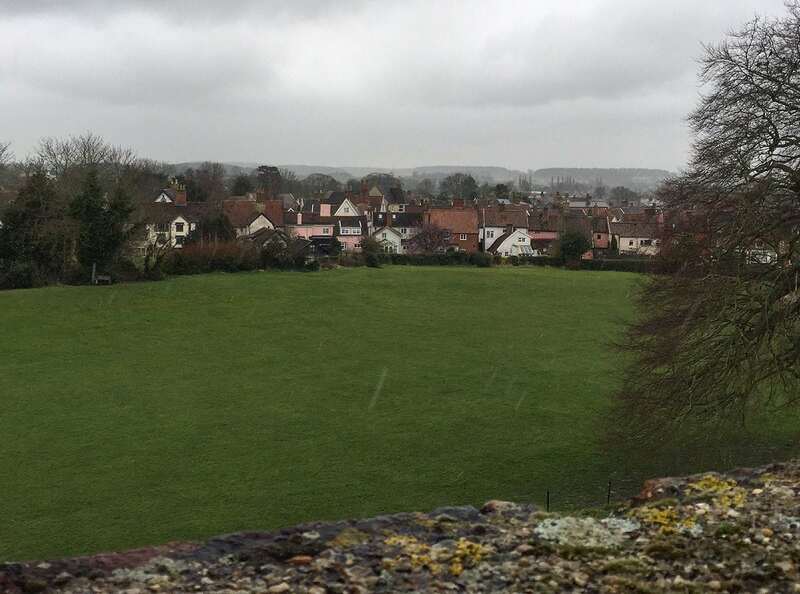 The view of the town of Framlingham from the Castle Wall Walk. Then as we were walking around the top, it started raining. No big deal, I had my umbrella (or brolly as they call it). Well, then it got windy. After my umbrella was blown inside out a few times I was ready to go back down. On the way back down you can stop in the small museum. It houses artifacts from the last 100 years or so collected by a local resident – Harold Lanman. In addition to the path in the dry moat around the castle, there is also a 3/4 mile long circular trail around the Meer. It’s an easy and flat walk with lovely scenery. We enjoyed the views of the castle (from across the Meer) and saw some interesting wildlife – birds, butterflies, and even a small water snake. Take the walk and you will be rewarded with stunning views of the castle. The castle that Ed Sheeran sings about in “Castle on a Hill” is Framlingham Castle. He grew up in Framlingham, Suffolk and now owns four properties in the area! Framlingham Castle is very popular with families. The grass area inside has plenty of space for kids to run around. The exhibition inside the Poorhouse is interactive and designed for a younger audience. Additionally, kids will enjoy doing the castle wall walk. English Heritage periodically will have special events like jousting that are perfect for kids. Outside the castle, kids love running around in the moat and rolling down the castle hill. The Meer walk is also well suited for young ones. Kids will love the paths in the dry moat of Framlingham Castle. 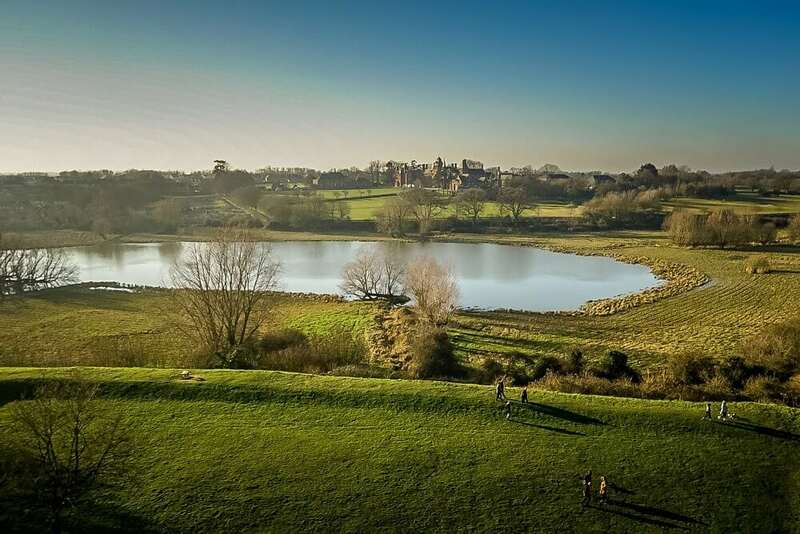 From the castle wall walk, you have a lovely view of the Framlingham Meer. 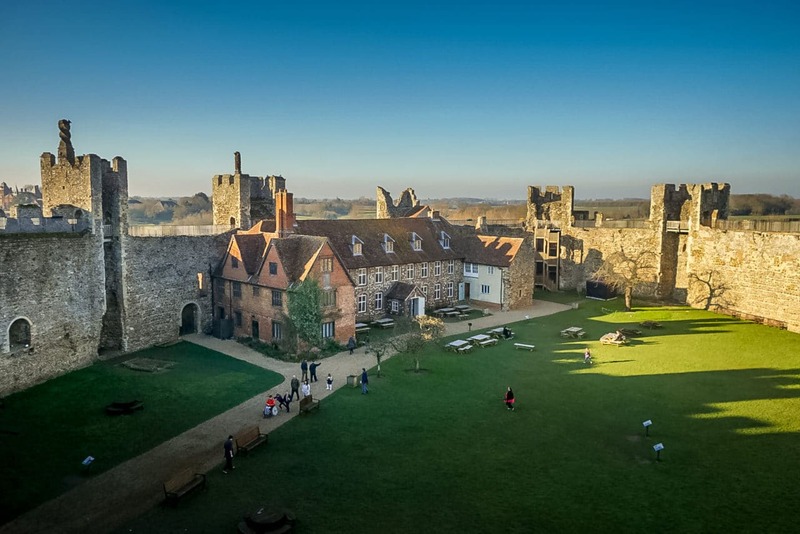 Framlingham Castle opening hours are 10 am to 4 pm, but the days it is open varies throughout the year, so be sure to check here before you plan your visit. Admission for adults is £8.90 and children are £5.30. If you are going as a family, you can save some money by buying the family ticket which includes 2 adults and 3 children for £23.10. An audio guide is included in your admission. When special events are on, there may be additional charges. English Heritage members (like us) get in free. Click here for more information about English Heritage. It also gets you into over 400 more historic sites across England. There is also a special English Heritage pass for visitors where you can have access to all the sites for either 9 or 16 days. Click here for more information on the English Heritage Visitor Pass. There is plenty of parking at Framlingham Castle as there is an overflow lot for busier days. Parking is free for English Heritage members but there is a charge for non-members. You can easily see the castle in 1-2 hours, not including picnicking or time spent exploring the moat area outside the castle. Unfortunately, Framlingham Castle is not easy to get to from London. The best way is to drive. Trains don’t get you very close, but if you are going from London to Framlingham, you could take the train to Ipswich. Then, the 118 bus will take you from Ipswich to Framlingham. 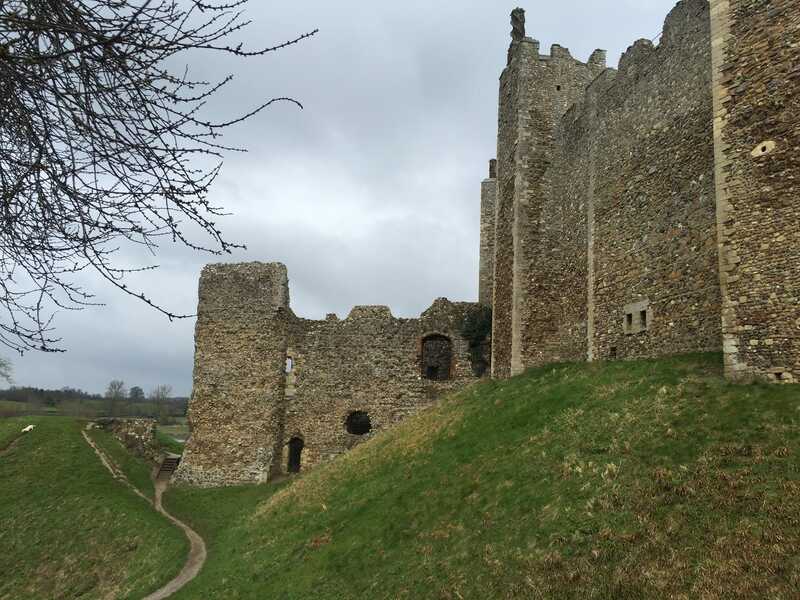 Framlingham Castle was built in the 12th century, so there are challenges in making it accessible. Those with mobility issues can visit the exhibition but it would be difficult to do the wall walk or the trails in the dry moat. There are a lot of stairs going up to the wall and the paths in the moats are steep and uneven. Please consider these points when deciding whether to make the journey to Framlingham Castle. I did see a man on crutches manage to do the wall walk. If you can try to plan your visit to Framlingham Castle when the weather is pleasant. You want to be able to enjoy the castle wall walk, having a picnic, and exploring the area outside the castle. If the forecast is rainy or cold, there are exhibits to see inside. Overall, I enjoyed my visit to Framlingham Castle. 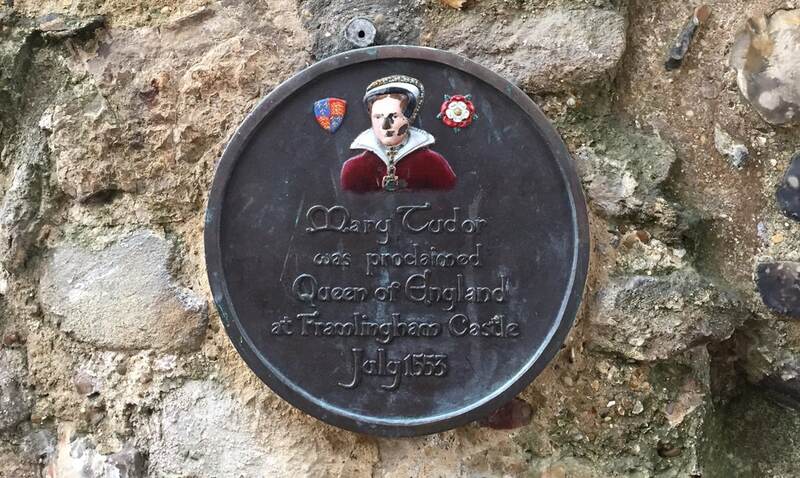 (In fact, I have visited several times since) Seeing the historical plaque inspired me to read more about Mary I and it is a fascinating story. I love those plaques! I would love to hear about other places where these plaques have helped you learn more about history. Pack a picnic to enjoy inside the castle if the weather is nice. You can explore the outside of the castle without paying admission. Framlingham Castle is run by English Heritage, which also manages over 400 historic sites in England. You may want to consider a membership or visitor’s pass if you plan on visiting several English Heritage sites. NextLiebster Award for Two Traveling Texans! Bloody Mary was such an interesting historical figure. Her life story is fascinating. I remember reading a biography of her a few years ago and having real trouble putting it down – it was so compelling. I don’t think I have ever been to Framlingham Castle though. Thanks Lyn. Let me know if you remember the name of the biography? I’m reading a historical fiction piece now called the Secret Diary of Anne Boleyn. The royal family just fascinates me! Thanks Tanja! Glad you were able to visit and enjoy it. Thanks Clare! I hope you guys get to go. Cathy – thanks, glad you enjoyed it. 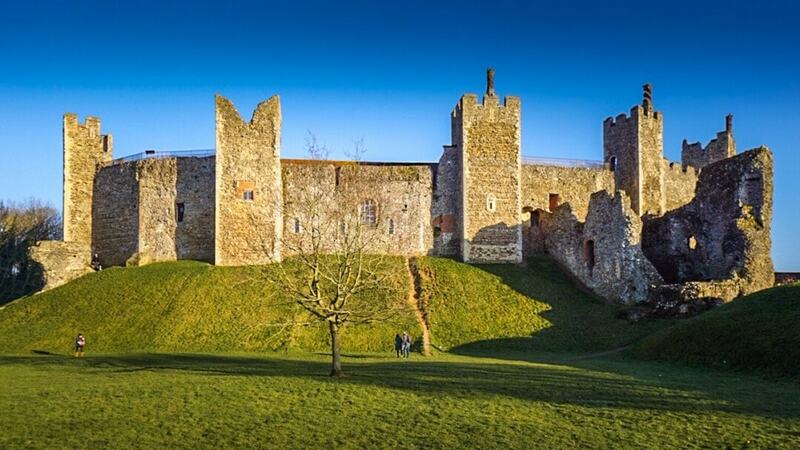 Framlingham castle does look like a great place for a picnic, hmm, maybe even bring along some bloody Mary fixin’s. We’ll have to add this to our ever-growing London trip coming up this summer. Jim – Yes! Having a bloody mary in Framlingham castle would be very fitting. And I can imagine your London list must be pretty long, so I hope you manage to see it all. Thanks for sharing this on #TheWeeklyPostcard, y’all. It was nice to actually see photos of a castle I’ve only read about. Funnily enough I keep ending up reading historical novels from this time period. The whole Tudor saga is fascinating, a real soap-story. BTW, you might enjoy the novel Mary, Bloody Mary by Carolyn Meyer. Most people don’t know that she had quite an unfortunate childhood…and it didn’t get any better when she grew up, did it? Thanks Linda! I will definitely check that book out, sounds very interesting. Recently saw a documentary about Bloody Mary! Walking the wall looks amazing!! Hopefully I have a chance to get around to see the castles of England one day. Thanks Stephanie. The history of the monarchy is fascinating isn’t it? I hope you get to visit these too. I also have several more on my list, so stay tuned for more. I LOVE Tudor history. I really need to do a UK trip of just Tudor sites. Thanks for the good tips on Framlingham Castle. I am adding it to my list! Francesca – I love learning about Tudor history too. You will probably need more than 1 trip to the UK to see all the sites, there are plenty that are fascinating. Hi Anisa, I’m such a monarchy story junkie, especially with stories of palaces, castles and fortresses. I love Tudor history, especially the queens! Thanks for sharing all the information I’ll need to plan a trip. Maybe I need to move to UK to experience all the castles. Jyoti – Haha yes, come move to England, there is so much to see, plenty of castles to keep you busy for awhile.